Noa is on death row in Pennsylvania for the murder of a girl her age. In a few months, she’ll be dead and she’s come to terms with it. She doesn’t even argue about being guilty or not guilty. Then the mother of the victim comes to visit her in prison and starts talking about applying for her clemency. They have five months to sort it out. The story is written in first person but none of it is in chronological order. In between Noa’s accounts are letters written from the mother of the victim to her dead daughter, a strange but useful way to reveal information about the murder to the reader. By the last third of the book you know everyone is hiding something and it’s a quick race to the end to find out Noa’s fate and whether or not justice is truly served. Unlike In the Woods, also a murder mystery told out of order, The Execution of Noa P. Singleton doesn’t weave so tightly that you have to pay attention to every single sentence. You can just read it and not spend time overthinking or trying to piece together the crime because the author is making you work for it. You know what’s up by the half way point, or at least you know the people in play are fishy. Yet, the ease of the narrative doesn’t take away from the thrill. You read fast because you care about Noa and you want to know if her X-day ever arrives. 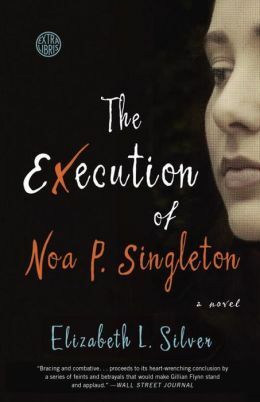 Buy The Execution of Noa P. Singleton here. I’m glad I read it because it solidified that the book and the movie are separate entities. Sure, it’s the same Chris Kyle, the same wife, the same wars, but American Sniper The Movie is Hollywood script and therefore required a character arc, a plot, a climax, and a resolution. American Sniper The Book is Chris Kyle’s full account of his experiences growing up a cowboy, his experience in BUD/S, his definition of what it means to be a SEAL, and his overall intense passion for and focus on defending his fellow soldiers. You get the bigger picture, not just a glimpse of four tours and a career-long vendetta to kill an enemy sniper. 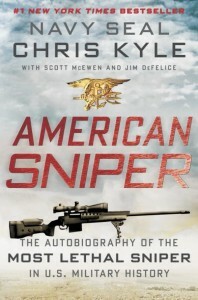 The movie was entertaining, provocative, and important, but the book is far more telling of who Chris Kyle really was. Upon finishing it, you knew Chris Kyle was anything but a coward.